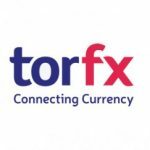 The GBP/EUR exchange rate was left to trade in a wide range again this week as Brexit uncertainties continued to rock the pairing. Brexit continued to be the main catalyst behind the Pound this week, with Sterling fluctuating throughout the week as the saga continued to unfold. This initially proved positive for the Pound as sentiment in the UK currency was buoyed by the announcement that Prime Minister Theresa May would reach across party lines to work with Labour in an attempt to find a workable Brexit deal which would be accepted by Parliament. 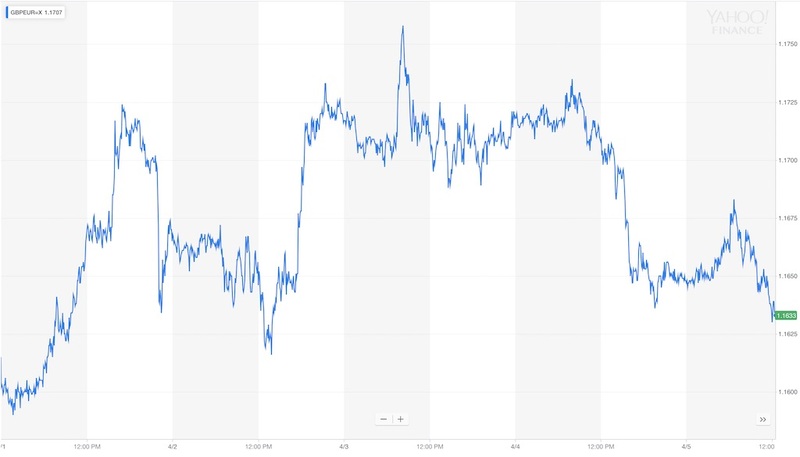 Unfortunately for GBP investors, Sterling fell back again in the second half of the week as little progress appeared to be made during the cross-party talks, leading to May to request another short extension to Brexit from the EU. 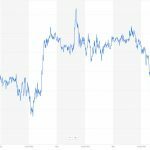 Also influencing GBP exchange rates this week was the release of the UK’s latest PMI figures, with the Pound’s gains in the first half of the week being tempered by fears that the UK economy may have stagnated in the first quarter, following a shock contraction in the service sector in March. Meanwhile, the Euro faced headwinds throughout the week due to some weak economic data, mostly notably due to some weak Eurozone inflation figures and a sharp contraction in German factory orders. Can the UK avoid a No-Deal Brexit Next Week? With the UK currently set to leave the EU next Friday if parliament is unable to come up with a solution to Brexit all eyes will be on the upcoming EU summit of leaders to see if this fate can be avoided. No doubt this will led to another session full of explosive Brexit developments result in further volatility in the Pound. This is also likely to overshadow the publication of the UK’s latest GDP figures, which otherwise may have exerted some downward pressure on Sterling as economists forecast growth will have slowed in February. Meanwhile, EUR investors will likely be focused on the European Central Bank’s (ECB) latest policy meeting, with the Euro potentially facing some headwinds if the ECB continues to promote a cautious approach to monetary policy.